This summarizes a cornerstone belief of Windermere’s culture. 30 years ago, we started the Windermere Foundation to propel this belief into action with the mission to support at-risk youth and members of our communities who are experiencing homelessness and difficult circumstances. Lew Mason, the Managing Broker at our Yarrow Bay office and Eastside Windermere Foundation Coordinator, while receiving the third Bellevue LifeSpring Wings Award for outstanding community contribution. We have been lucky enough to collaborate with over 500 organizations to facilitate this effort, including Bellevue LifeSpring. Last week we were honored to receive the third Bellevue LifeSpring Wings Award for outstanding community contribution, and we would like to take this as an opportunity to spread the word about this incredible organization. Like the Windermere Foundation, Bellevue LifeSpring is committed to making our communities a better place to call “home.” A group of women first started the organization as Overlake Service League in 1911 to help break the cycle of poverty by providing basic needs for children in low-income families, which allowed them to focus on their education. They served Bellevue’s population of just over 150 by delivering food baskets, goats for milk, and seeds and farm equipment to plant and harvest food. During the Great Depression they also helped people find jobs. Over a century and several population booms later, Bellevue LifeSpring’s methods and services have changed but their dedication to improving our community remains the same. Today, they partner with the Bellevue School District to provide food assistance to students, offer need-based scholarships for summer school and college, distribute vouchers for new back-to-school clothing at local merchants, and supply vouchers for year-round clothing needs at their thrift store, Thrift Culture. We are so grateful to have Bellevue LifeSpring’s support and recognition with the Wings Award. We look forward to many more years of working together to build a better future for everyone. Find out more about Bellevue LifeSpring’s programs and how you can help here. The 30-year fixed rate was 4.59%. This reflects a decrease of half a point from 60 days prior. This marked the 10th consecutive week of flat or weekly declines. The number of people who applied for loans to buy a home or refinance rose to an 11-month high. As we head into the peak spring home buying season, more buyers and sellers are expected to enter the market. The local economy remains strong and home prices here continue to moderate. There is an abundance of inventory, and depending on how many additional homes come on the market, prices may moderate even further. Potential buyers who held off because of higher interest rates in the fourth quarter of 2018 will want to take advantage of today’s lower rates before they go up. All indications point to strong demand this spring. Every time interest rates increase by a quarter of a percent, your buying power decreases by about 3 percent. Whether you’re thinking of buying or selling our brokers can provide you market data that will help you make the best decision for your circumstances. The local economy is booming, and nationally we are experiencing the second-longest bull market in history. That’s great news, but it can’t last forever. The economy runs in cycles and we’re long overdue for our overheated market to cool down a bit. According to a survey of top economists by Zillow, almost half of experts said they expect the next recession to begin some time in 2020. A recession means the economy has slowed down. It does not mean we are experiencing another housing crisis. The housing crash of 2008 caused the last recession. However, that crash was primarily due to faulty lending practices that encouraged people to purchase homes they could not afford. Current lending practices make that unlikely to occur today. According to economists, monetary and trade policy are the most likely triggers for the next recession, not housing. The last recession that was caused by the housing crash was an anomaly. During the previous five recessions home values actually appreciated. If the US experiences a recession you can expect a slow-down of home price increases, not a housing crisis. Whether you’re thinking about buying or selling, it’s important to have the most current information about the market. Our skilled Windermere Brokers can provide you with statistics and economic forecasts, as well as answers to any questions you may have. Commute vs. Home Price Trade-Off: How Far Are You Willing To Drive? We examined active listing on the Northwest Multiple Listing Service and their drive-time proximity to downtown Seattle. Looking at homes within a 30-minute radius from downtown, the median home price was $1,612,500. Homes located within a 31 to 60-minute commute from downtown had a median price of $890,000–that’s 45 percent less. This means if you are willing to commute over an hour, the price of the average home in the area would be $1 million less than if you lived close to the city. 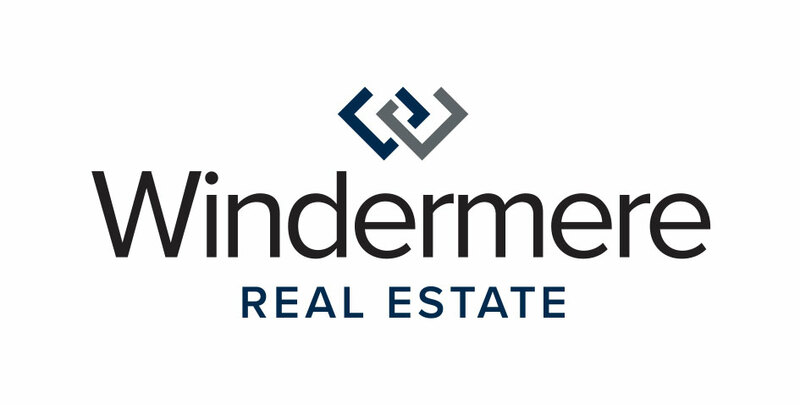 The Drive Time Search function on Windermere.com and our Windermere brokers’ websites allows you to customize the search criteria with your work address, time of day that you commute, and maximum amount of time you want to spend driving to and from work. The results will exclusively show homes for sale within your preferred drive time. Are you ready to look for a home? One of our qualified Windermere brokers can help you choose the right area, narrow down your criteria, and create a strategy for getting you the home you want at a price you can afford.